This photo was submitted directly to The Bucking Jenny of Addicting Info by a pilot who wished to remain anonymous. When attributing this photo please give credit to Addicting Info. This afternoon police seized what appears to be a whole lot of pot from the airport near Laramie, Wyoming. A local pilot shared this image of the seized drugs and provided some information. He said the drugs came from a single engine plane that landed in Laramie last night from California. The plane was scheduled to fly to a destination on the East Coast sometime today. The man who landed the drug-filled plane in Laramie last night is currently in custody. This is not the first time someone has been caught near here, trying to transport large amounts of marijuana from west to east coast. Two days ago, a 38-year-old man was arrested after police found scales, paraphernalia and 23 pounds of marijuana in his car. He was driving from California to Virginia. Last February a semi heading eastward hauling cars near Evanston, Wyoming, was searched and two cars were found to contain nearly 2 million dollars worth of the drug. Last week a local NBC news affiliate reported that in Laramie just being stoned can get you thrown in jail for up to 90 days, but 38 miles away in Ft. Collins, Colorado pot has been decriminalized. They also reported that local university students now admit to driving stoned, traveling for pot, and smoking in cars. While many applaud states like Washington and Colorado for decriminalizing pot, or states like Oregon and California who have medical use laws, there are still definite downsides to aspects of marijuana legislation. So long as it’s cheap, legal and easy to grow marijuana on the west coast, and there is a demand for pot in states where it is illegal on the east coast, trafficking is going to be a problem. 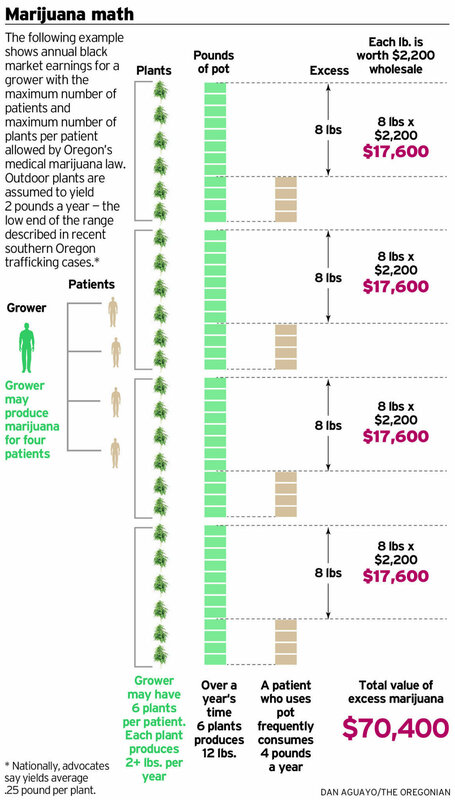 One Oregon paper looked at medical use laws that allow for up to six plants per person to be grown for medical use, and calculated that even if a patient uses as much marijuana as they like, there is still a potential for up to $70,000 in profit per year by selling the leftovers. Busts, like the one in Laramie today, are going to be commonplace so long as we are without a respectable federal marijuana law. As it is, we’ve created a sticky situation whereby people who medically need pot are forced to turn down the temptation of paying their medical bills by selling the extra…or face serious consequence. It isn’t right that college students put themselves at risk by driving stoned while trying to get high legally. Safety and common sense dictate that we deal with this on a national level, right away. We are a capitalist society, there is a demand for legal pot; until we find safe, legal, universal ways to supply this demand, we are going to have problems.